In June 2016, as a cooperative project of Niigata City and a private organization called the Steering Committee of Parents’ Home Living Room, the Living Room School was opened. It offers a short intensive course that teaches how to create a Chiiki no Chanoma. Ms. Kawada requested me to become the principal and I accepted it. 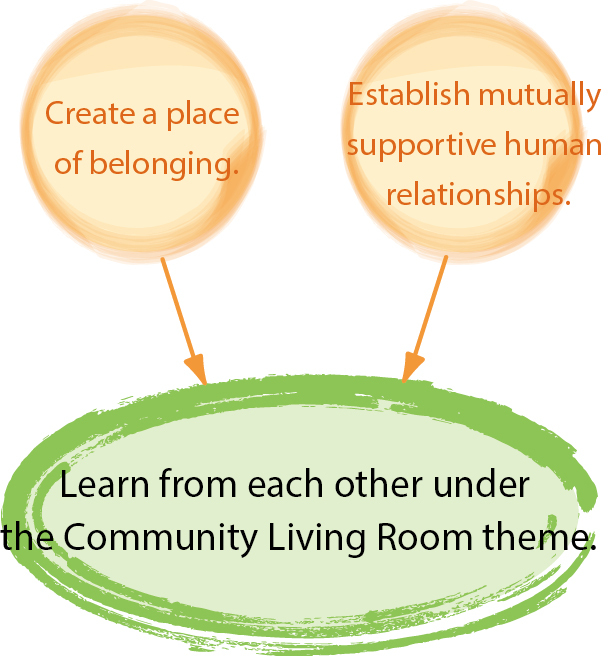 The purpose of this school is to learn from one another about how to create a place of belonging and how we can make mutually supportive human relationships, under the Chiiki no Chanoma theme to reduce anxiety and isolation brought about by an ageing society with fewer children. It is held every Friday as a series of six (6) lectures. This must be a rare opportunity to be able to learn the key points of how to create a Chiiki no Chanoma that Ms. Kawada had been working on. Therefore, I am expecting participants from outside of the prefecture as well. I sincerely hope that the Chiiki no Chanoma, deeply rooted in the local community and filled with the sincere desire of supporting each other, will spread to the entire Niigata City. As for the Living Room School, the government seems to be gearing towards the creation of mutually supportive communities through the dissemination of the Chiiki no Chanoma. Ms. Kawada’s purpose seems to be even more profound. 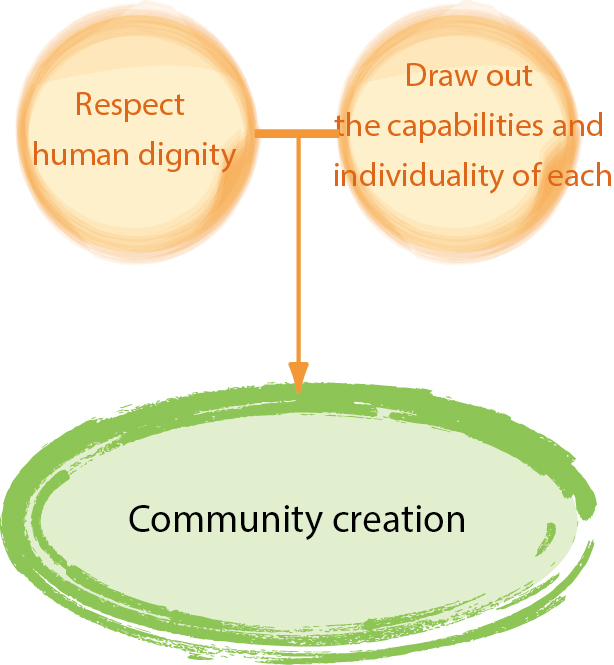 It is not just about creating a place of mutual support, but of creating a place and community where human dignity is protected and the capabilities and individuality of each person are drawn out; and it is her wish that this concept will spread to the whole of Niigata City. It seems that this is the fondest wish of Ms. Kawada when she first established the Chiiki no Chanoma. I am with her in having such aspirations, and I am truly grateful to be able to walk with her along the same path.